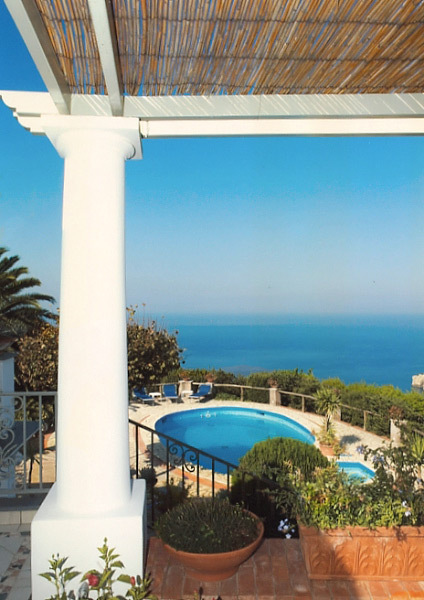 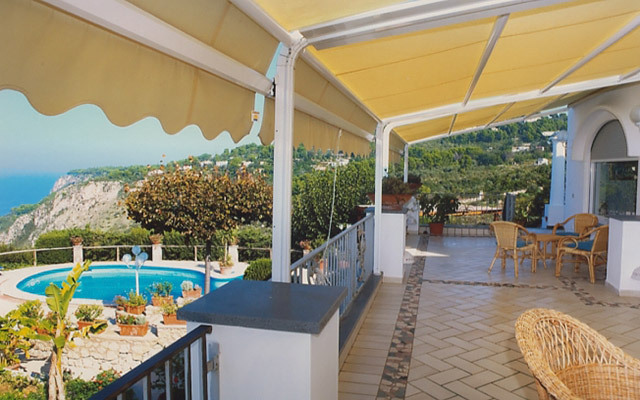 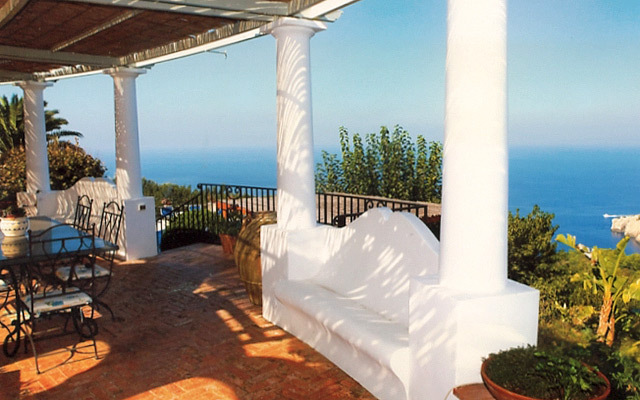 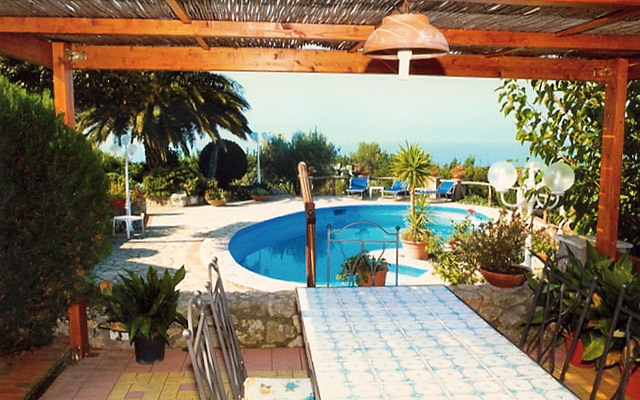 Set a luxuriant green garden, with marvelous views of the sea, the islands of Ischia and Procida and as far as Capo Miseno, Villa Annarita is a little piece of paradise in peaceful Anacapri. 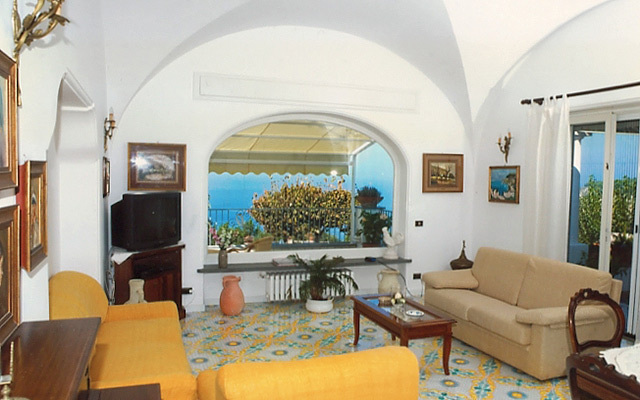 Furnished with comfy sofas or armchairs facing the massive window overlooking the sea, Villa Annarita's large living room is the ideal place in which to relax after a day spent on the beach or exploring Capri. 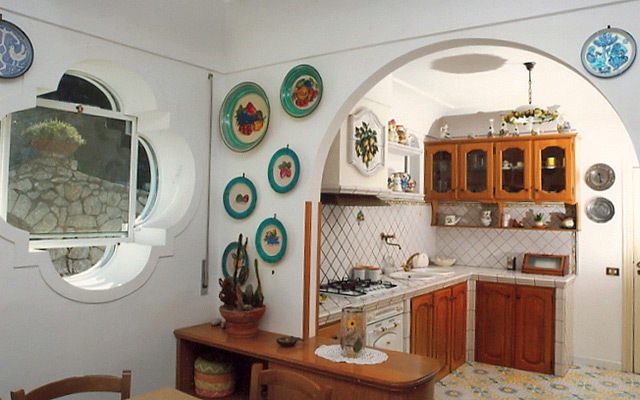 Like the rest of the property, the kitchen is decorated in typical island style, with arches, wood and brightly colored majolica. 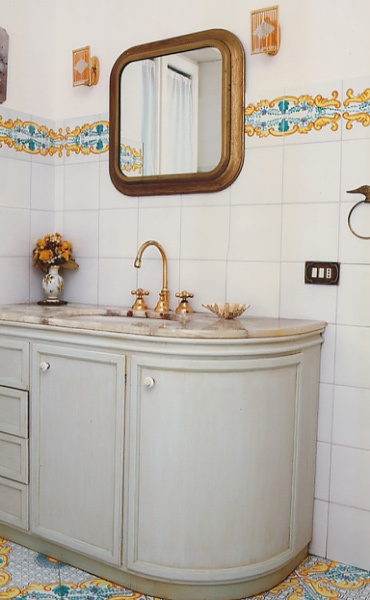 All three of the villa's bedrooms have their own ensuite bathroom tiled with Neapolitan ceramics. 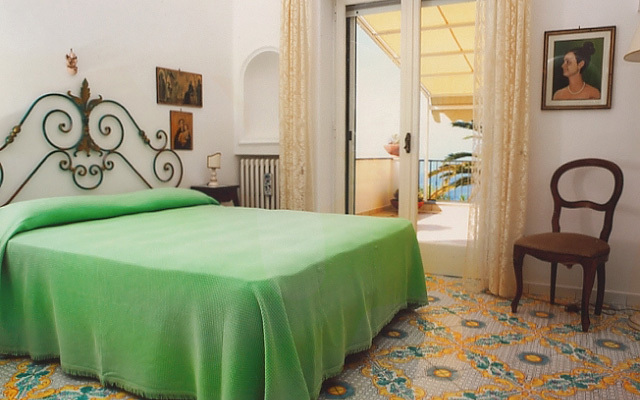 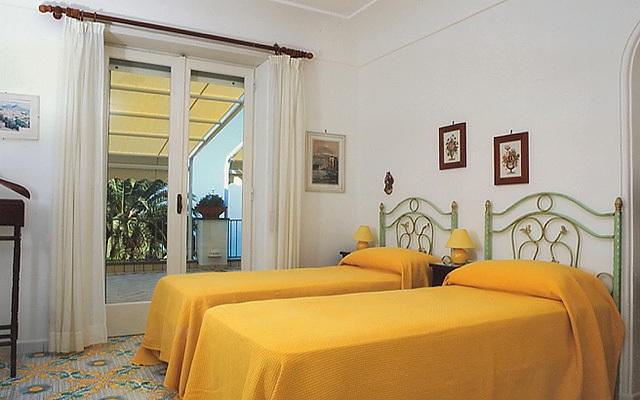 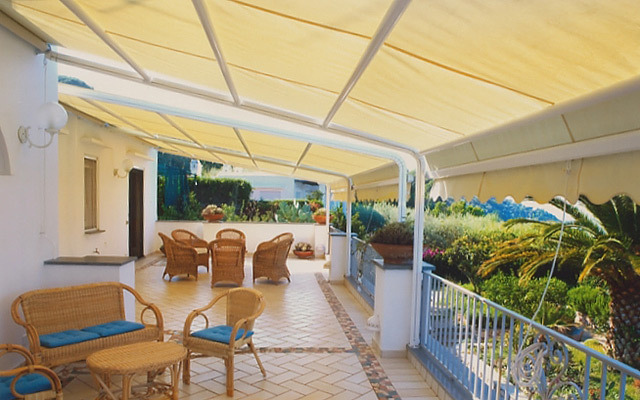 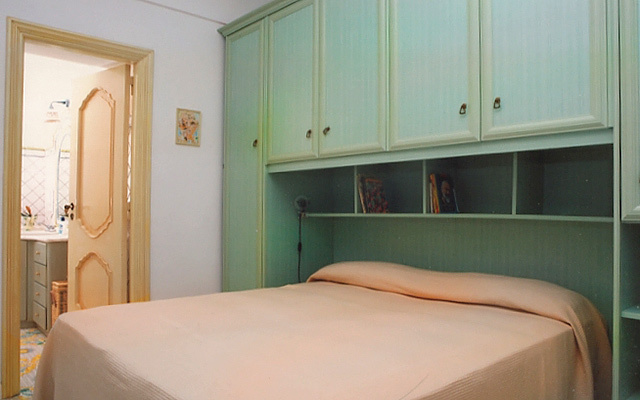 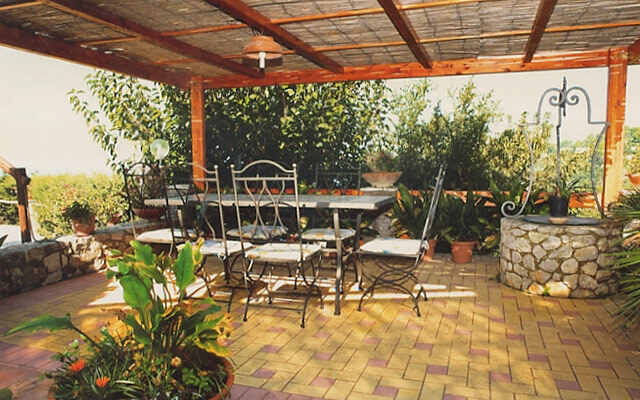 The two largest bedrooms open out onto a terrace furnished with wicker tables and chairs. 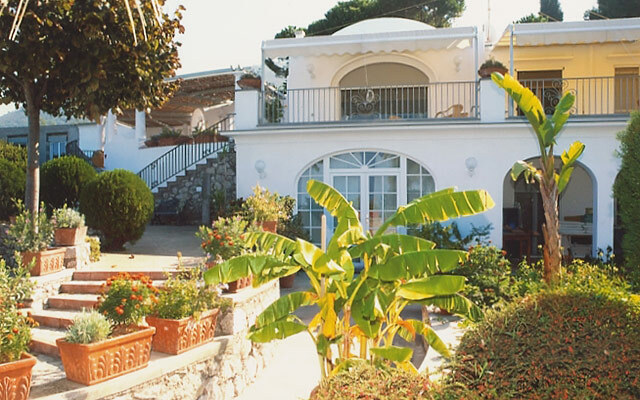 The beach and bay of Punta Carena are a mere 5 minute taxi ride away. 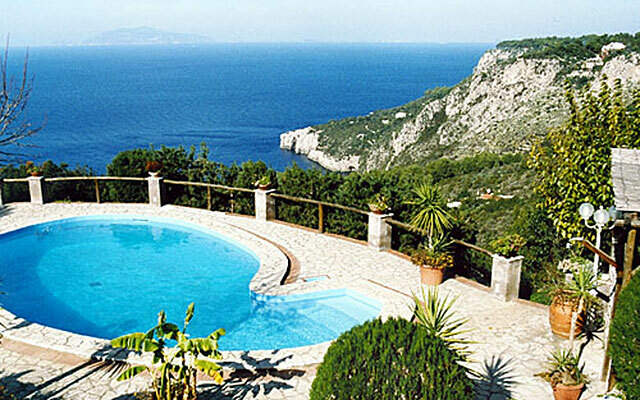 With its wild and rocky coastline guarded over by Capri's lighthouse, this is one of the most beautiful parts of the island, and the setting for one of the most spectacular sunsets in the world.